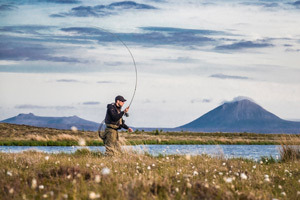 With hundreds of trout lochs, half a dozen salmon systems, and some of the best sea trout fishing remaining on the UK mainland, North Sutherland is truly a fly fisher's paradise. 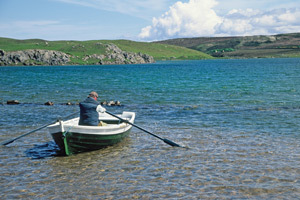 The renowned Durness ‘limestone lochs’ are located at the NC500’s most north-westerly point, and have a long and famous angling heritage. 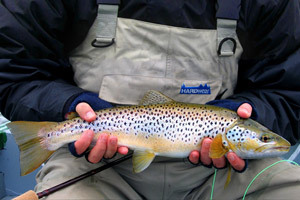 They comprise 4 lochs: Borralie (Borralaidh), Caladail, Croispol and Lanlish, that share similar characteristics: an alkaline limestone source; shallow crystal clear water with a few deep holes; prolific insect and crustacean life; challenging and often difficult fishing; and superb quality wild brown trout. 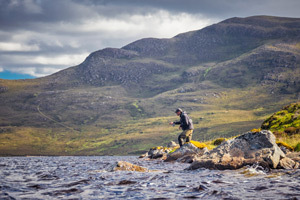 Borralie and Caladail are the cream of these lochs, with good populations of fish averaging 1½lbs and over 2lbs respectively, and larger fish caught on a regular basis. 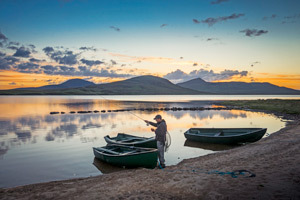 There are trout lochs throughout the area, but the next major area of note is Strath Halladale and the lochs of the Altnabreac area to the south and east, that extend across the 'flow country' into Caithness. These peatland lochs could not be more different to those at Durness, but have their own beauty and feature majestic skies, sometimes 180 degrees of it! 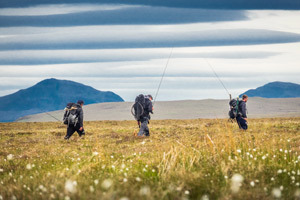 The quality of trout vary from loch to loch, but this is a truly fantastic 'wilderness' fly fishing experience. 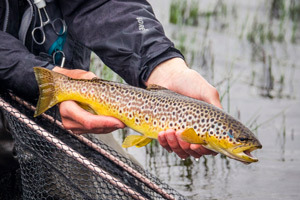 Further south still, with easier access, at the head of the Helmsdale catchment, is another superb collection of trout lochs around Badanloch and Achentoul. 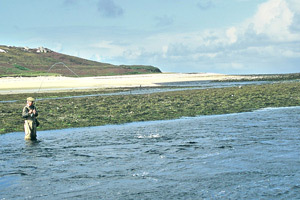 There are several major salmon and sea trout systems flowing to sea along the north coast of Sutherland. 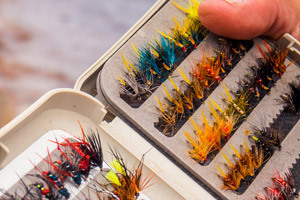 The Halladale and Dionard are amongst the more famous, but they are ignored here, because there is no realistic chance to fish them for visiting anglers i.e. there are no day permits available. 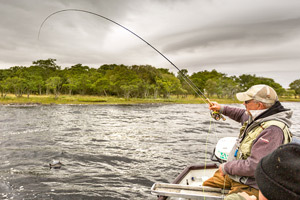 There are still some great opportunities to fish for migratory species though. 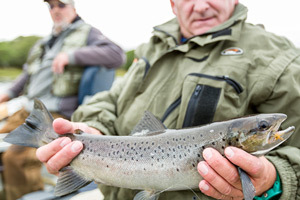 Loch Hope is one of the very best sea trout fisheries in Scotland, and boats can be hired through a sporting agent, subject to availability. 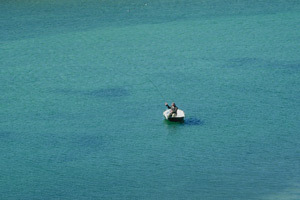 There is also sea trout fishing available on the Kyle of Tongue. The Naver is one of the most productive salmon rivers in the Highlands. 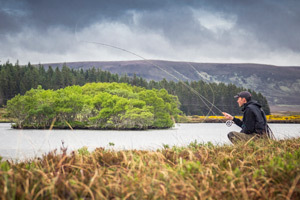 One of the lower beats can be fished through permits made available by the local angling club, who also offer sea trout fishing on its estuary. 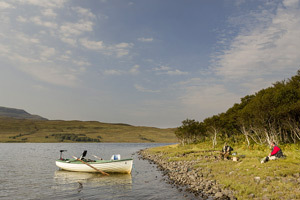 Additionally, guests staying at the Altnaharra Hotel are able to fish by boat on Loch Naver. Access to the River Borgie is also available for guests staying at the Borgie House Hotel. 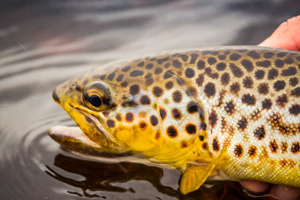 Follow TroutQuest's board showcasing trout fishing in North Sutherland.